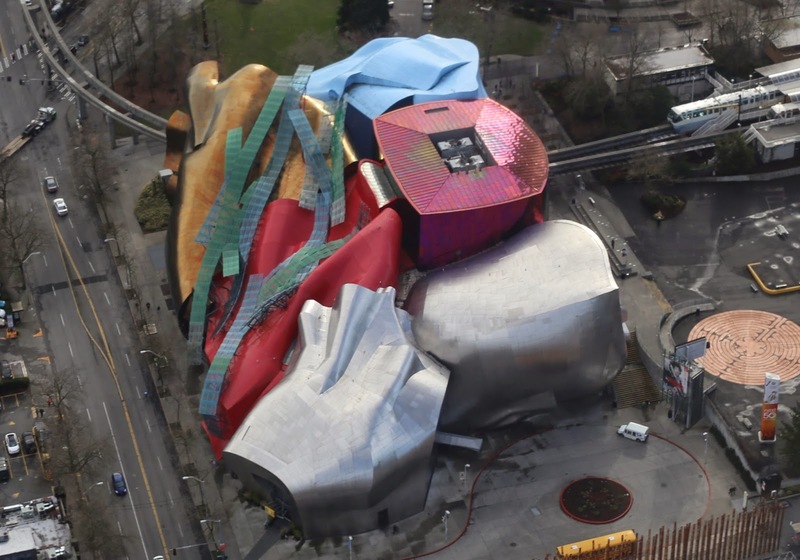 Frank Gehry's Experience Music Project was founded by Paul Allen with a few dollars left over from his success at Microsoft. Like much of Gehry's work, it is as confusing inside as it is on the outside. The Seattle monorail runs through it.